We are looking forward to evaluating your orthodontic needs. Under Dr. Woo’s care, you will benefit from 20 years of experience and his heartfelt passion for creating beautiful smiles that are functional, healthy and stable. 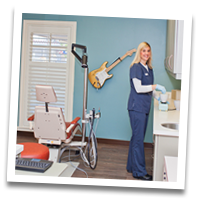 Our staff will provide you with friendly, skilled care in a comfortable environment. During your firsst appointment, Dr. Woo will perform an oral examination to determine if orthodontic treatment is needed. If indicated, he will educate you about the treatment options and explain when treatment should be started. We will provide you with a projected length of treatment and the treatment cost. Finally, our staff can create diagnostic records records (i.e. take impressions and x-rays) during your first appointment, if desired. To make an appointment please call us at: 707-829-5513. If you prefer, please fill out our secure online REQUEST AN APPOINTMENT form. After you submit the form, our staff will be in touch with you to confirm an appointment date and time. Please complete our secure online HEALTH HISTORY FORM. You can also print the form, fill it out and bring the completed copy with you to your next appointment. These patient forms will help us provide the individual care your child needs. Please provide us with a list of current medications . If you have dental insurance and/or orthodontic insurance please bring your insurance card. This will save time and allow us to help you process any claims. If you cannot make it to your appointment, please contact our office at 707-829-5513. If it is after hours leave your name and number and a brief message on our answering machine and we will return your call when we return to the office. When you come to your initial examination, you can relax with the knowledge that Dr. Woo will put your needs first and recommend treatment only when it is needed. We look forward to meeting you and serving you! We are conveniently located in downtown Sebastopol at the corner of Burnett and Petaluma Avenue. For a map click here.